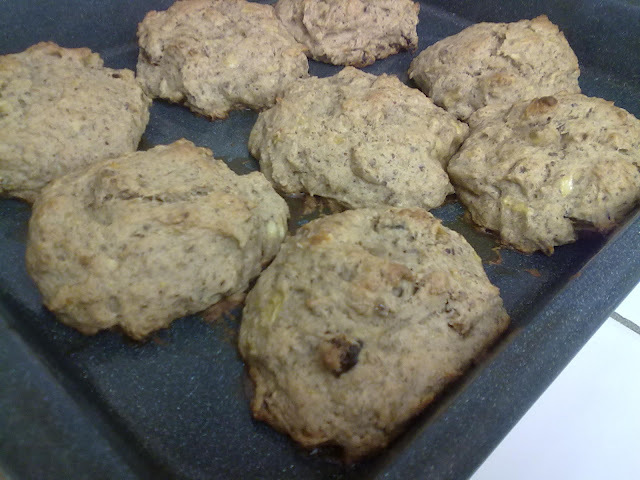 On my long "to bake" list was this banana-date scone recipe from Veganomicon. It all started when I opened "The Ukrainian"'s refrigerator to find that a bunch of bananas he bought less than a week ago still somewhat green were now mushed up/black. I diced some of them and froze the parts that were salvage-able (for later use in smoothies and popcicles) and used the rest as the base of this recipe. 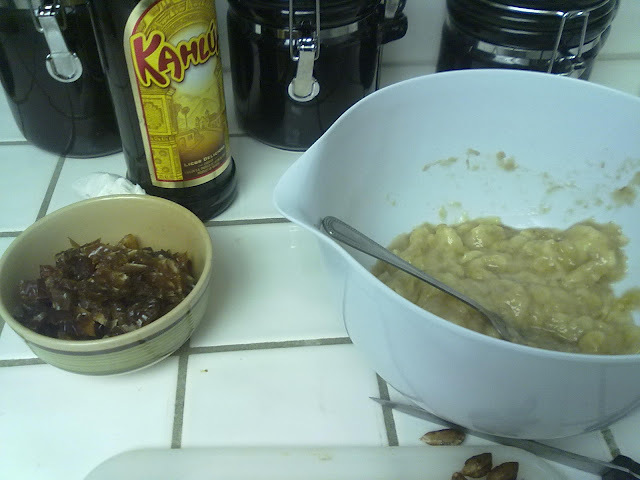 Above: Chopped up medjool dates (from Sprouts) and mashed-up banana. Yes, looks AND sounds appealing, eh? (Ignore booze in the background...) I had to grind my own flax seeds, sub soy milk for rice milk, and maple syrup for brown rice syrup. Above: While I was in such a hurry that I didn't get any more "process" pics (it got quite sticky and messy! 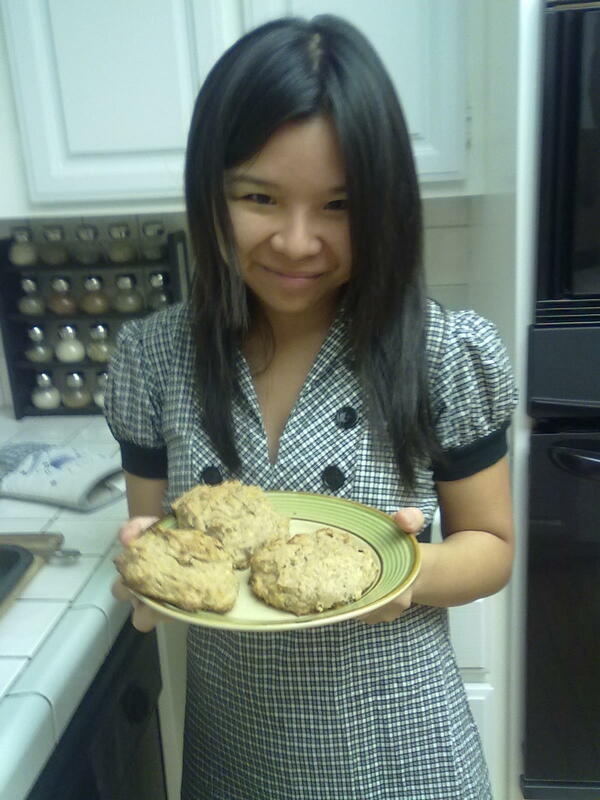 ), I did get this fresh-outta-the-oven shot! Above: I put them on a plate to cool. Above: "The Ukrainian" made me take this picture, which is why I look very sheepish here. Above: A texture shot. 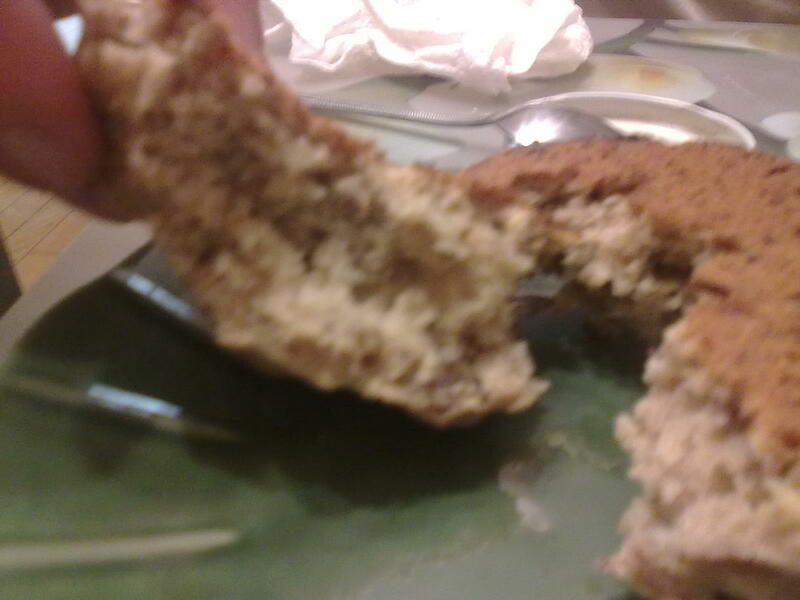 It's more cake-y than scone-y, but then again, I really think many scones don't have much flavor, while this one had a nice banana and sweet aroma. I would love to try making other variations of this recipe (cranberry-orange will probably be my next attempt, much to my chagrin). Whew! 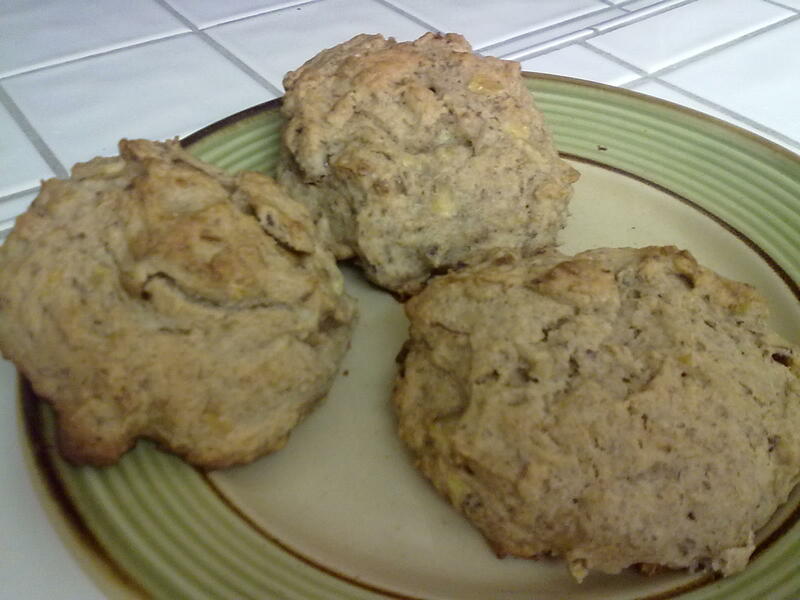 I was thinking banana date kahlua scones? Hope you had a great Thanksgiving!